Research keywords: Think carefully and write down keywords or phrases that you want your blog post to be found for. You’d want to incorporate those keywords into your post (no more than 2% of your blog content), so Google will know what your text is primarily focused on. Headings: Make sure keywords are in your headings. 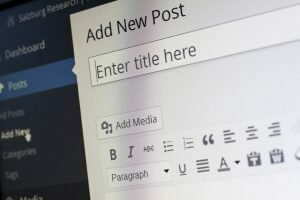 A strong title is important for your blog post as they can attract and intrigued visitors to reading your blog. Meta description: Adding correct, clear, & precise page titles & meta description will help gain your click-through rate from search engines. Page titles should consist of 60 characters and meta descriptions 155-60 characters typically are. Make sure to write a clear description. Images: Images are a great way to best support your content. Adding keywords to your images, (also known as “Alt Text”), can be time-consuming, but it will certainly give it an extra boost to your search ranking. Linking: One SEO strategy you cannot forget is internal links. You’ve worked hard to attract your readers to your page, now you’d want to retain them by adding links to relevant content. This will create better user experience. As we know, SEO takes time, so it is best to optimize now than later. Having said this, you also want to make sure your blog post is unique and engaging to your readers. By following these steps will help maximize your SEO efforts which will make your website more visible to your target audience. Keep serving them quality content and they will be back for more!